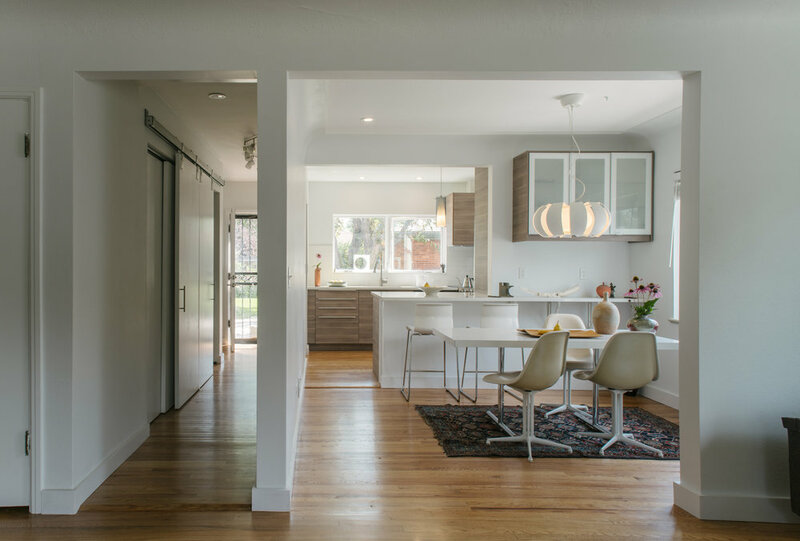 The Montclair Residence is a remodel and an addition to a mid-century ranch home located in Denver. It was designed to improve and open up the original structure including a kitchen remodel and add a master suite / art studio space. 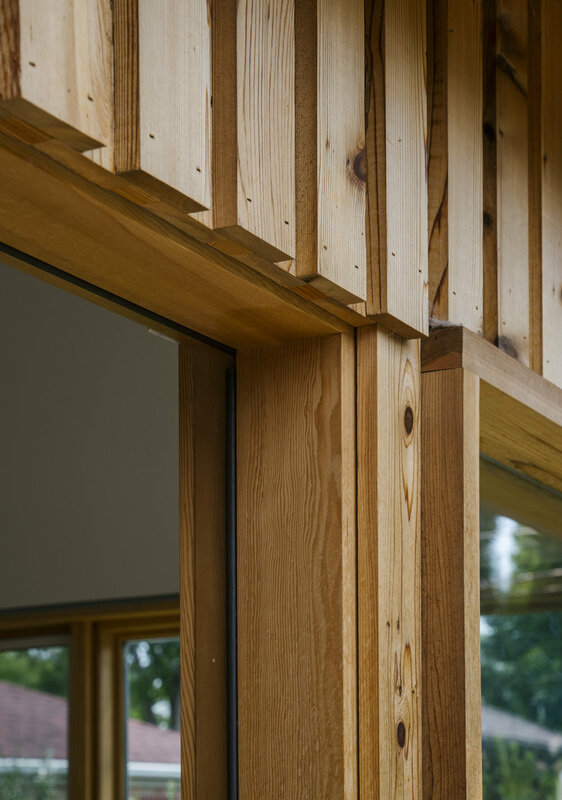 The design creates a vaulted space for the studio space which opens to the rear garden space and was designed around a lovely crab apple tree. 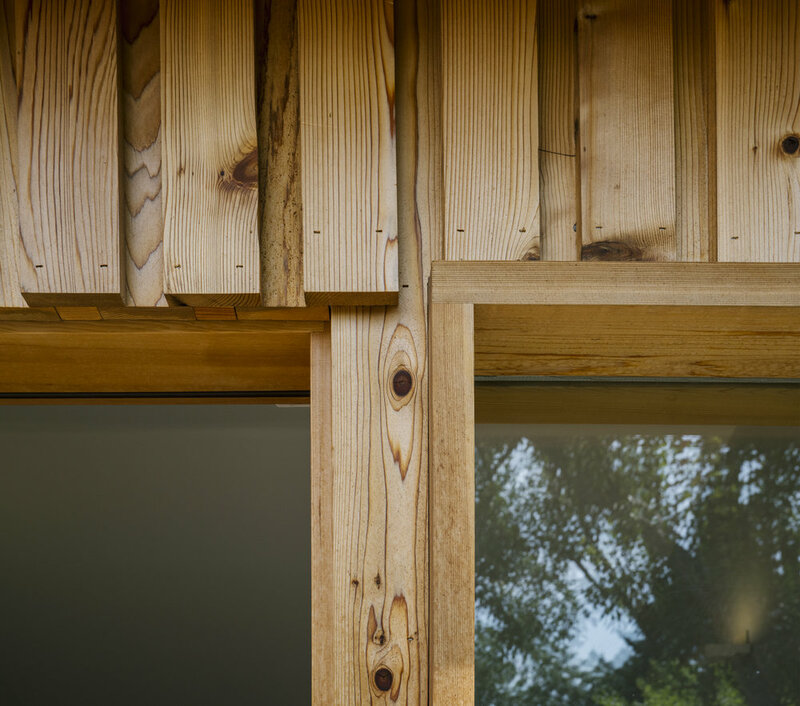 The design plays off the original form and utilizes simple design with rich materials including inventive cedar siding to create a nice rhythm to the addition while complimenting the existing masonry structure. The scale and form to add an addition that enhances the original structure while creating the space for a more modern urban home that opens to the garden space.